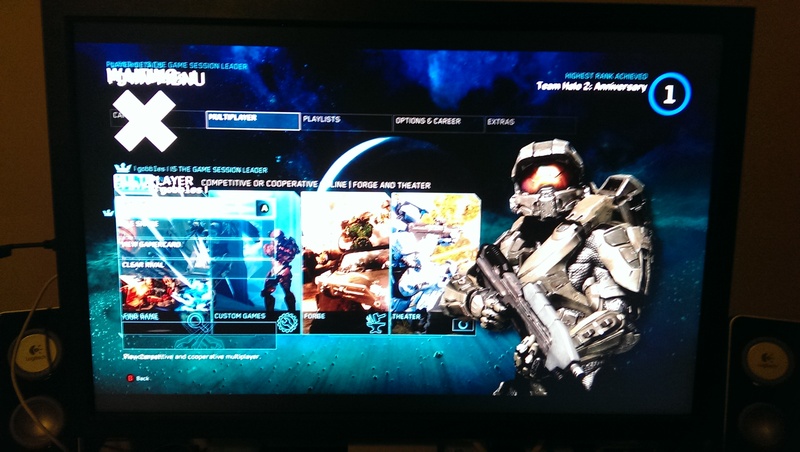 A running list of bugs I have found so far in the Halo Master Chief Collection. I have played multiple games where the total number of players is higher than what the playlist allows for. 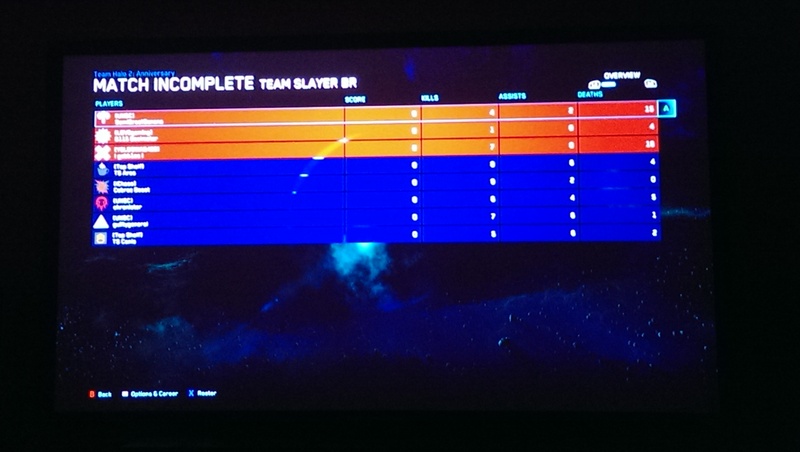 I have played a 7v6 game in the Team Slayer playlist, which seemed to run fine even though the BTB playlist only allows for 12 players. This one happens a lot. Game starts as 3v7, or 3v5, or any unfair combination of that variety. Kind of fun when you’re on the team with more players, but depressing if you’re not. I only saw this happen the first or second day of release, but sometimes players would be put on a third team even though the playlist is for two teams only. I have joined a party of three where I could only hear one person, he could hear both of us, but the third guy couldn’t hear me talk. Funny but kind of frustrating! I know they have been resetting the rankings in the H2A playlist, but I have seen my rank go down to 1, then go back up to what I had it at, then in the next game go back to 1. Make up your mind game! This has only happened once, but I went to join my friend in his party and I got put into some random person’s party. Halo Roulette? Posted under Notebook with tags halo, video games. I’ve had a few bugs also. One was a mid match crash when i was playing split-screen. Another strange bug was that my roommate and I were in matchmaking together in split-screen, and he got put on the other team, so we were playing against each other even though we were on the same couch. 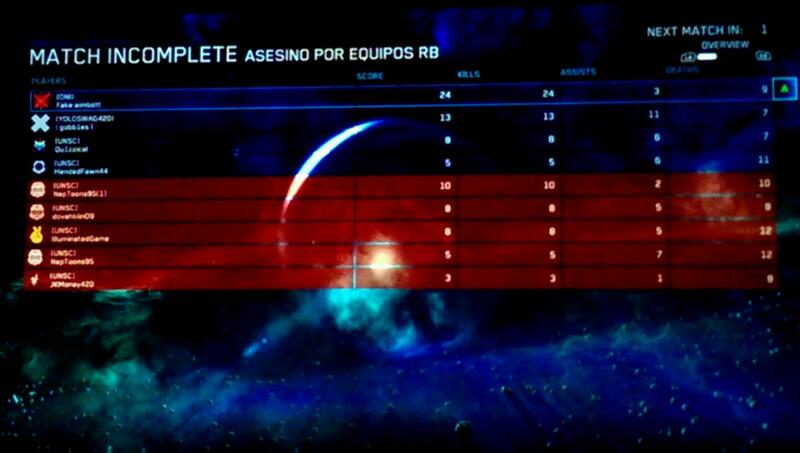 :P There are a bunch of forums on reddit and HaloWaypoint that list dozens more glitches and bugs like this.